An OB-GYN and specialist in maternal-fetal medicine (MFM) with more than 15 years’ experience in her field, Dr. Celeste Sheppard currently treats patients at Hill Country Maternal Fetal Medicine in Austin, Texas. Dr. Sheppard set the stage for her career as a student at Wellesley College and, later, the University of Texas (UT) Southwestern Medical School. 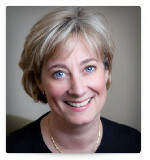 Following receipt of her Doctor of Medicine in 1989, Dr. Celeste Sheppard entered into a lengthy period of clinical training, beginning with a general internship and OB-GYN residency at Parkland Memorial Hospital. Four years later, she undertook an MFM fellowship at the University of Texas Medical School at Houston, where she split her time among various research projects and clinical activities. After a second fellowship, in perinatal research at the University of Wisconsin-Madison, Dr. Celeste Sheppard earned board certification in general obstetrics and gynecology and maternal fetal medicine. Supporter of Forklift Danceworks, KUT, Wellesley College Alumnae Association, AnyBabyCan (Nurse-Family Partnership), Caritas, Planned Parenthood. Reading & book collecting, contemporary art, SCUBA diving, travel. Join Today to follow and contact Dr. Celeste Sheppard.